Employees have embraced mobility and are getting results, but many are still turning to non-corporate apps. CIOs can empower mobile users to stick with enterprise-grade solutions and keep data safe, but they need the right apps to support these goals. App platforms streamline development so CIOs can support mobile transformation by reacting to challenges as they emerge. Rapid mobile application development platforms can go a long way in easing these challenges. How to get data to users leveraging diverse device types. How to keep data safe while leveraging smartphones and tablets. 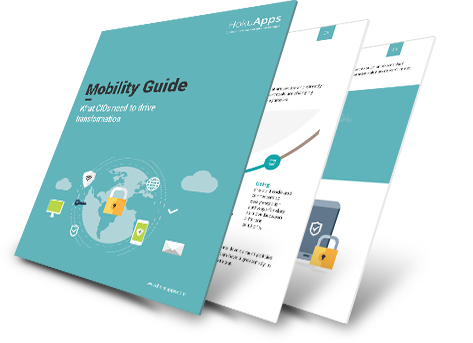 How to accelerate development processes to ensure users get access to the apps they need. How to interconnect apps and services across distinct technology architectures. Mobile transformation can change the way people work to drive efficiency and revenue gains. CIOs can make this operational shift happen through strategic app creation and management.